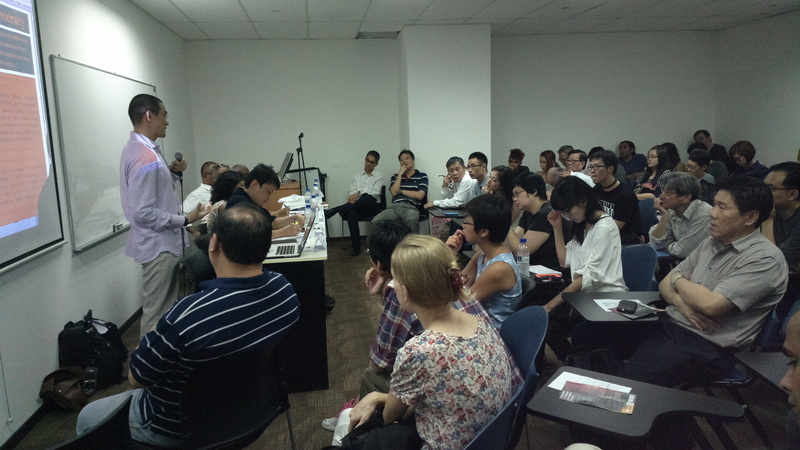 MARUAH organised a thematic discussion about Freedom of Expression & Democracy on 15 Dec 2013 at Robertson Walk. Engagement, discussion, sharing of information and voicing of concerns are all necessary components in a functioning democracy and the event was a platform for a discussion on these areas. This was all the more important in light of recent events such as the charges brought up against blogger Alex Au and the closing down of Breakfast Network. The event featured an accomplished line up of experts who shared past incidents and also critical insights into the topic. Dr Thum started by giving a historical insight into freedom of expression and democracy in pre-independent Singapore. Filmmaker Mr Martyn See then continued from 1965 onwards, highlighting narratives of restrictions on freedom of expression by the government on various persons and groups. He shared some of the challenges faced by those who spoke out against government policies. Mr PN Balji discussed on the regulation of alternative media outlets and inconsistencies in the governance of online media. Dr Cherian George highlighted the ideological obstacles to freedom of expression in Singapore. The final speaker for the evening, Mr G Raman shared insight into laws that protect and curtail freedom of expression in Singapore. The Question & Answer segment prompted various questions on how the landscape would look like in 10 years time, whether the youth are concerned about issues relating to freedom of expression, and whether the education system was responsible for apathy in issues like politics and human rights. MARUAH thanks all the speakers and participants who attended the panel discussion. This entry was posted on Tuesday, December 17th, 2013 at 3:54 pm and is filed under Event reports. You can follow any responses to this entry through the RSS 2.0 feed. You can leave a response, or trackback from your own site.